What's Happening with Netflix's Dark Crystal TV Show? 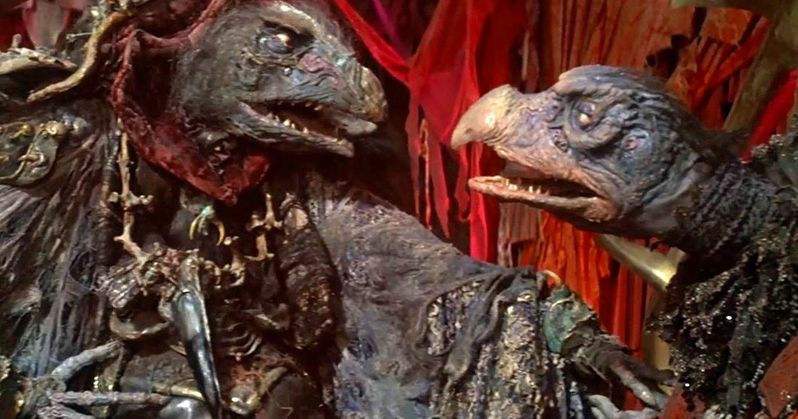 We finally have some new details regarding Netflix's upcoming Dark Crystal: Age of Resistance TV series. The show, which will serve as a prequel to Jim Henson's original 80s The Dark Crystal movie, was first announced in May of last year, but details have been pretty slim ever since. Now, we finally have word from Brian Henson regarding the status of the project, as well as some additional details on what we can expect from it. Brian Henson, who most recently directed The Happytime Murders and has done his best to maintain his father's legacy over the years, recently appeared at Dragon Con. During a panel, he divulged some details and provided an update on the series, which is officially titled Dark Crystal: Age of Resistance. Here's what he had to say about it. "It's been shooting since last November, it's so cool that Netflix could get behind it in such a big way so that we can do it right. I say we, but I've been doing Happytime Murders, so it's really my sister's [Lisa Henson] and Halle Stanford's project. They've really put together a great, great time in London. And I'll be honest, I thought those days were gone. I thought by the 80's, the idea of being able to walk into a stage and see an incredible fantasy world realized was just long gone because of CG and everything like that. But they've really done it right. It's great The workmanship is just stunning, the artistic quality is right there again, what I thought maybe was lost, it's still there. They'll be shooting for another few weeks, and then there will be a huge amount of post production." Henson endeavors are typically marked by their use of practical effects and puppet work. That's what makes the name. But with something like Dark Crystal specifically, it's particularly important. That is a lived-in, tangible world and it would feel very wrong if it was just a CGI festival with Skeksis in it. So Brian Henson's comments should do a lot to inspire some confidence in those excited about the series. It's also nice that Netflix is willing to pony up the dough necessary for such an undertaking. As for the timeline? He wouldn't get terribly specific, but he did clarify things just a bit. "OK, well, we've said it's a prequel, and it's not an immediate prequel, so it doesn't end when the movie started. It takes place significantly earlier than when the movie took place." Louis Leterrier (Now You See Me) is on board to executive produce and direct the series for Netflix. The first season will consist of ten episodes. There is no word yet on a release date for Dark Crystal: Age of Resistance, but based on these new comments, sometime in late 2019 seems realistic. We'll be sure to keep you up to date as more details on the project are made available. This news was previously reported by Bleeding Cool.